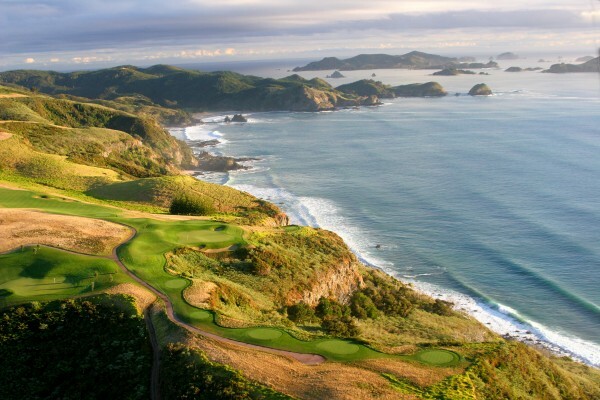 In a country that boasts the second-highest number of golf courses per capita in the world (behind only Scotland, and slightly ahead of Australia) New Zealand is a golfer’s dream. Lush, green and eye-poppingly scenic, there are golf courses at nearly every turn, and you’d be hard pressed to find a town without even a nine-holer in its midst. 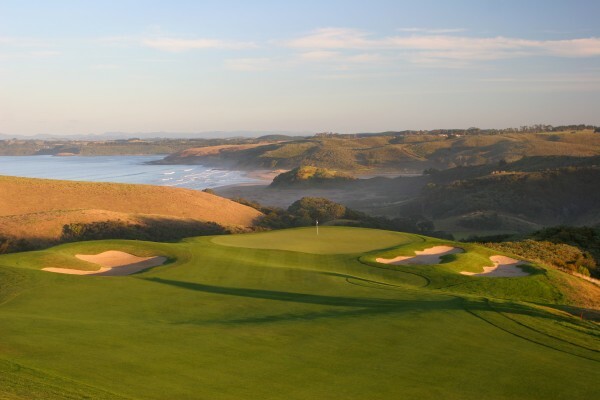 Topping the charts of golf in the land of the Kiwi are a pair of world-class courses recently rated by Golf Digest as among the world’s best courses outside the US: Cape Kidnappers Golf Course (#6), and sister Kauri Cliffs GC (#19). 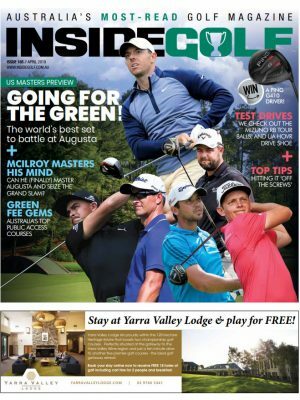 In the January issue of Inside Golf, we reviewed the rugged and beautiful Cape Kidnappers. Set among rocky cliffs and windswept valleys in Napier, the Tom Doak-designed marvel offers an opportunity to experience links-style golf with a true Kiwi flavour. This month, we look at its sister course, the magnificent Kauri Cliffs. Located north of Auckland near The Bay of Islands, Kauri Cliffs is a par-72 beauty is set on 6,500 acres near Matauri Bay. Measuring 6539m from the back (and a more manageable 5930m from the whites) the course features ocean views from nearly every hole and offers five sets of tees to challenge every skill level. It has also been home to The Kiwi Challenge PGA Golf Event. While Kauri Cliffs and Cape Kidnappers are often spoken in tandem, they are very different courses. Whereas Kidnappers is a rugged, windswept beauty (similar to, say, Barnbougle Dunes) Kauri benefits from a more manicured, resort-style approach. 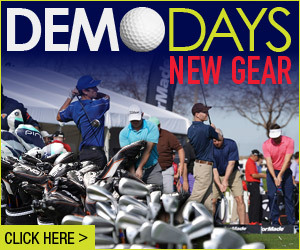 In my eyes, it is much more playable by a wider variety of golfers than Cape Kidnappers. But they are both must-play, bucket-list courses. Designed by David Harman, the course at Kauri Cliffs owes a lot to nature, as it weaves around the amazing rolling landscape. But the layout smartly takes full advantage of the scenery without sacrificing playability. This is key, as some designers are so tempted to make a beautiful, jaw-dropping picture that it can sometimes result in a hole that is nearly unplayable in some conditions. There are no unplayable holes at Kauri Cliffs. Every hole provides a combination of an amazing view with a challenge for every level of golfer. But there are also strategically-placed bail-out areas and “easy routes” to appease even the high-handicapper. There is one caveat, however: check your ego at the door. 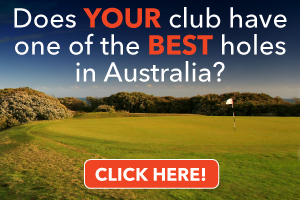 If you want to enjoy Kauri Cliffs – I mean REALLY enjoy it – then you must play from the tees that match your skill level. Middle or high handicappers who are tempted to play it from the tips (aptly named the “Tiger” tees) will not only lose a lot of balls, but they may lose all semblance of sanity – especially if the wind is up. Playing from the proper tees at Kauri will give you a MUCH better feeling of how the course is meant to be played. 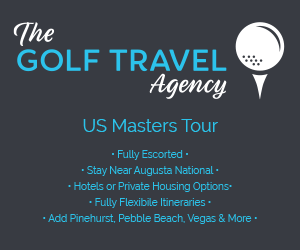 So, instead of hacking your way through the shin-high rough (if you can even find your ball, that is) you will be able to appreciate the routing of the holes, the well-placed bunkers, the tricky false fronts, the slick greens and the ultra-manicured fairways that are a dream to hit from. Take, for example, the Par-4 17th (“Rainbow”). From the Tiger Tees, you need to hit a dead-straight 230m laser-guided bullet for any chance of clearing the ravine and hitting the fairway, which runs almost perpendicular to your drive. If the wind is in your face, you need to be even longer. From the White or Green tees, however, the ravine is out of play, and the fairway is wide open. It’s still a very difficult hole, however, as you’ll have a tricky 200m+ approach to a well-protected green (bordering a sheer cliff, by the way). This is also evident on some of the amazing par-3s, like the 7th hole (“Cavalli”). Playing over a massive valley, the Tiger tees require a full 200m shot to a tightly guarded green, which features bunkers, swales and the ever-present wind (which in my case was pushing left-to-right, out to sea). The Green/White tees, however play around 160, while the Red and Yellow give you 135 and 96, with less ravine to manage, and a nice safety area on the left. The two nines are very different from each other. 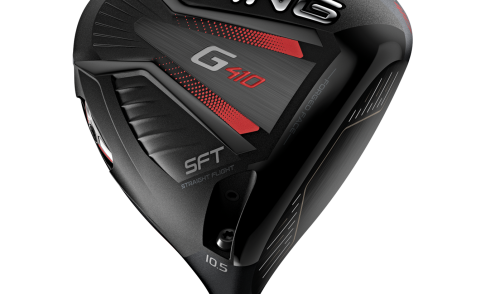 The front nine introduces you to the spectacular coastline, the wind and the style of play that is required for the day – which is most likely the low punch shots, bump and runs or the occasional high approach to an elevated green. The fairways are mostly wide open, the holes straightforward. The back nine, however, is a different story altogether. 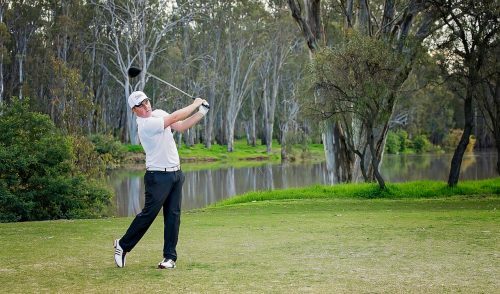 Holes 10-13 take you into a seemingly calm and picturesque valley which is reminiscent of the country, complete with grazing cattle, valley views and even a few marshy areas guarding secluded greens. Just as you are lulled into a false sense of inner calm after putting out on 13, you soon find yourself right back at the coastline for the closing holes, battling the wind, ravine-guarded doglegs and ball-grabbing bunkers – like the migraine-causing set on the par-4 16th (Temptation). If you manage to escape without a “Saddam Hussein” in here (i.e. going from bunker to bunker), consider yourself lucky. The course also feels like you have it all to yourself. Each hole is isolated from the others, so you’ll really feel as if you are the only player or group out there. The golf complex/facility itself is top notch. The world-class practice range features grass tees, full putting and chipping greens, and pin/green targets down the range. The golf shop is stocked with everything you need (including premium hire clubs), while the food & beverage options are five-star quality. Like the golf course itself, the main lodge offers amazing views of the Pacific Ocean, Cape Brett and the Cavalli Islands. On-site facilities include tennis courts, an infinity swimming pool, Luxury Spa and fitness centre. There are also three swimming beaches, which are also available for picnics and barbeques. Accommodation is also spectacular. The Lodge at Kauri Cliffs was named the 6th best hotel in the world according to the 2011 Condé Nast Traveller readers’ poll. 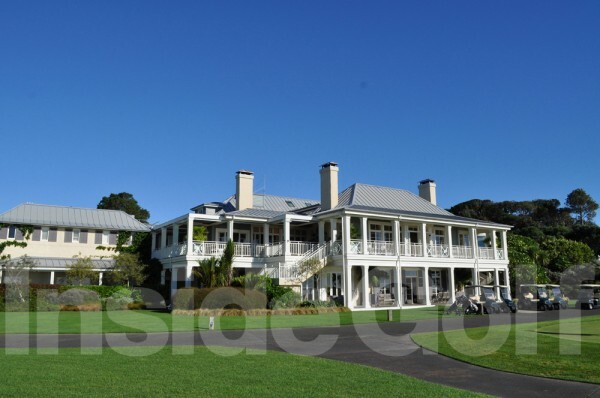 (FYI, its sister course The Farm at Cape Kidnappers was named to Travel+Leisure’s ‘World’s Top 50 Hotels’ in 2010). The Lodge has 22 guest suites, which sit alongside the 10th fairway and offer private porches, bedroom with Super-King beds, sitting area and open fireplace, walk-in “His and Hers” wardrobes and more. Overall, Kauri Cliffs has notched its spot among my favourite golf courses. I highly recommend you give it a hit at your earliest opportunity. And with airfare specials popping up to Auckland all the time, it’s more affordable than ever to hop across the Tasman. 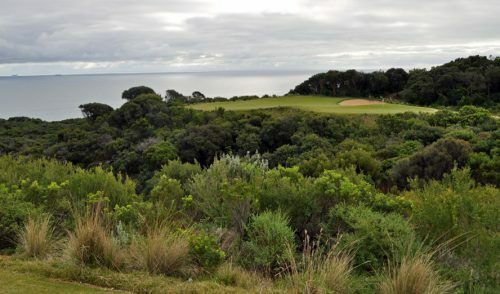 One Response to "Course Review: Kauri Cliffs GC"